Look up in the sky. It’s a bird. It’s a plane. No, it’s a drone taking a video of your house, your neighborhood, the waterfront view. Although the word drone conjures up images of military spy craft, we are now using a small remote-control four rotor helicopter with a camera that takes stills and video. With a number of homes the regular photos on the ground are not very impressive, but you get in the air and it looks like you are in the Florida Keys or something. For that special property we can create the wow factor.” click the photo below for an example of our aerial video photography. Home buyers are visual people. Aerial video can be the difference needed to bring a prospect to a home or property. Certain properties cannot be fully appreciated unless you see them by air or water. Take the Uncles Neck neighborhood in Lanexa. If you have never been on the Chickahominy River you don’t know what you are missing. 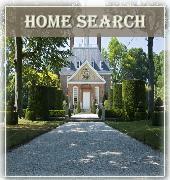 I would be happy to discuss a marketing plan for your unique Williamsburg or Hampton Roads Virginia property. email John@MrWilliamsburg.com for further info.